Land registries are successful when trust is ensured between all involved parties. In this paper we introduce the idea of improving the quality of land registries by using blockchain technology. With blockchain we can overcome the limitations (e.g. centralization) of the existing land registries and offer a trusted service that provides significant benefits to the participants. 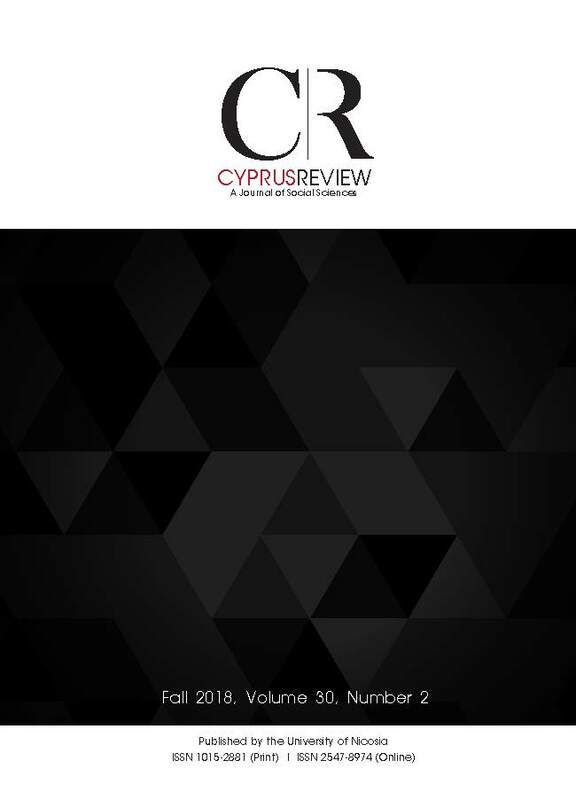 This paper also highlights the functionality of a blockchain land registry solution that can be adopted by the Republic of Cyprus and it suggests the implementation of a small pilot that can be used as proof of concept. Abbott, J. (2018, October 9) ‘Moving to our second year on Digital Street’. HM Land Registry (blog). Available at https://hmlandregistry.blog.gov.uk/2018/10/09/moving-to-oursecond-year-on-digital-street/, accessed 1 November 2018. Christodoulakis N. and Skouras S. (2009) ‘Electoral misgovernance cycles: Wildfires and tax evasion in Greece’. Paper presented at the 8th Conference on Research on Economic Theory and Econometrics, Tinos, 8 – 12 July 2009. Available at http://www2.aueb.gr/ conferences/Crete2009/papers_senior/Christodoulakis.pdf, accessed 23 October 2018. Cyprus Department of Lands and Surveys (2016) ‘Vision’. Department of Lands and Surveys. Available at http://portal.dls.moi.gov.cy/en-us/thedepartment/Pages/Vision%20 and%20Mission.aspx, accessed 15 October 2018. Daley, S. (2013, May 27) ‘Who Owns This Land? In Greece, Who Knows?’ NYTimes.com. Available at https://www.nytimes.com/2013/05/27/world/europe/greeces-tangledland-ownership-is-a-hurdle-in-recovery.html, accessed 23 October 2018. Lansiti, M. and Lakhani, K. (2017) ‘The Truth About Blockchain’. Harvard Business Review, January–February 2017. Available at https://hbr.org/2017/01/the-truth-aboutblockchain. McKinsey & Company (2016, May) ‘How blockchains could change the world’. McKinsey. com. Available at https://www.mckinsey.com/industries/high-tech/our-insights/howblockchains-could-change-the-world, accessed 5 June 2017. Sittie, R. (2006) ‘Land Title Registration. The Ghanaian Experience’, Paper presented at 23 International FIG Congress, 8–13 October 2006, Munich. Available at https://www.fig. net/resources/proceedings/fig_proceedings/fig2006/papers/ps07/ps07_15_sittie_0848. pdf, accessed 14 October 2018. Smart Dubai (2016) Dubai Blockchain Strategy. Available at https://scgn.smartdubai.ae/pdf/ dubai-blockchain-strategy.pdf. Tapscott, D. (2016, June) How the blockchain is changing money and business. Filmed in Banff, Canada, 18.50. Available at https://www.ted.com/talks/don_tapscott_how_the_blockchain_is_ changing_money_and_business, accessed 5 March 2018. Tapscott, D. and Tapscott, A. (2016) Blockchain Revolution: How the Technology Behind Bitcoin is Changing Money, Business, and the World. New York: Penguin Random House. Taylor, P and Papadimas, L. (2015, October 18) ‘Typically Greek, delayed land register is never-ending epic’. Reuters.com. Available at https://www.reuters.com/article/eurozonegreece-cadastre/insight-typically-greek-delayed-land-register-is-never-ending-epicidUSL8N12E1Z520151018, accessed 14 October 2018.